Whether you are looking for student accommodation for your children, a nearby bungalow for your elderly parents or simply want an income-generating investment at some point in our lives many of us consider investing in property. Here’s what you need to know before you sink your savings into bricks and mortar. Here at the Homeowners Alliance we think homes should be bought for living in. 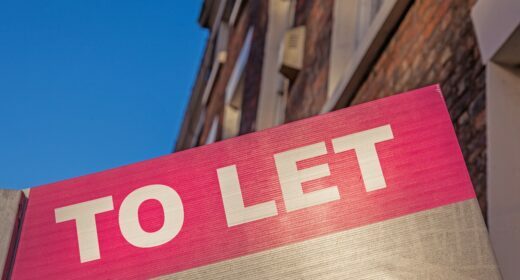 While the growth in buy-to-let property provides much needed rentals, too much buy-to-let and foreign investment in the market can make buying harder for first time buyers. But, we also recognise there are various reasons – not just mass scale property development – when people will consider investing in property. First, the most common reason to invest in property is to generate an income. By owning a property and renting it out, you can use the rent to pay off the mortgage and slowly build equity. Another reason for investing is to be able to help family members financially. According to the Halifax, the average first-time buyer needs a deposit of £33,000 so many parents and family members are looking at property investment to help their children today – or so they are in a position to help them in the future. Thirdly, with interest rates so low, many people are looking at property investment as a way of making their savings work harder. The average yield on a buy-to-let property sits at around 5%-6%, while interest rates in a savings account are around 1%. Throw in record low rates on buy-to-let mortgages and you can see why property is a booming investment sector. Then of course there is the fact you can buy a property and potentially sell it later at a profit, assuming house prices continue to go up. Figures from Nationwide show that house prices have risen by an average 9% a year since 1988. While past performance is no guarantee of future returns, there’s no reason to assume that in the long run this trend of capital growth won’t continue. Tax changes are making buy-to-let property investment less appealing. Thanks to the additional stamp duty rate, which is levied when you buy extra properties alongside your main dwelling place, buying a second property is now significantly more expensive. For example, a £200,000 property bought as an investment or second home, will have a £7,500 stamp duty bill. Add in all the other costs involved in purchasing a property – legal fees, surveys, mortgage costs – and your investment will have to work very hard to recoup what you have to spend getting it up and running. A number of variables could affect how your property investment performs. Your capital return is dependent on house prices going up, while your income depends on how much rent you can charge, and both are reliant on a steady, or increasing, level of demand for your property. If there isn’t demand you could be left with an empty property not providing you with an income and no-one willing to buy it from you either. You need to be ready to invest for the long-term in order to make sure you earn back what it has cost you to purchase your buy-to-let and to allow time for your returns to be smoothed out. Interest rates are another threat to your property investment returns. If you need to take out a mortgage to buy an additional property, then you risk a rise in interest rates putting a serious dent in your returns. The obvious way is simply to buy a second flat or house, either as a cash buyer or with a buy-to-let mortgage. The process is the same as when you buy a home to live in, except you pay more stamp duty and if you need a mortgage the affordability criteria is different. You’ll need to weigh up the costs (purchase price/mortgage costs, legal fees, tax, maintenance costs and management costs) before you invest and weigh these against what yield you might get on a property. The annual yield is a simple sum – it’s just the rental income as a percentage of the what you paid for the property. For example, a property with a £10,000 annual rental income that cost £200,000 has a 5% yield. Take a look at the properties you are considering investing in and what similar properties rent out for. Once you factor in all your expenses how much income can you expect to make? Look also at how this compares to investing in a property fund. For example, a Real Estate Investment Trust (REIT) gives you exposure to residential property – and the healthy yields associated with it – via a stock market investment vehicle. This is a good choice if you don’t have a large amount to invest. The other attraction of a fund is you can access your money far quicker should you need it. You could also invest in commercial property via a fund on the stock market. If you haven’t invested in the stock market before, we would recommend speaking to a financial advisor before taking the plunge. Buy-to-let mortgages are quite different to traditional residential mortgages. The affordability calculations are based on the rental income of the property rather than your own salary. Most lenders want the rent to cover at least 125% of the mortgage repayments. They also expect at least a 25% deposit. Most buy-to-let mortgages are arranged on an interest-only basis, but the interest rates are higher than on traditional residential mortgages. You may also find that the arrangement fees on a buy-to-let mortgage are far higher than on your own mortgage. You can find out more with our dedicated guide to buy-to-let mortgages. Here at the Homeowners Alliance we would strongly recommend you use a fee-free mortgage broker to help you find the best buy-to-let mortgage as there are several specialist lenders that you may not be aware of and a broker will be able to help you navigate the market. Before you invest in additional property, regardless of the reason, we would also advise that you speak to an independent financial advisor (IFA). They can take a look at your overall financial health and help you work out if you can afford to invest in property and if it is the best way to achieve your aims.